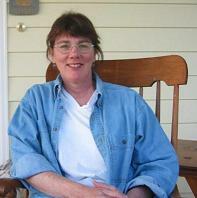 Acknowledged – it has been a while since the Harvest Manager has had anything much to say. The main reason is that The Gardener has been on extended leave. 2015 dished up some unexpected challenges for gardening in our neck of the woods. The five year drought in California is not the main reason. Water is always an issue for The Gardener. Drip irrigation, sprinklers on timers, and strategic watering schedules are part of the program even without a drought. The main thing last year that impeded non-stop gardening was a string of medical issues including shingles, knee surgery, and clostridium difficile (read up – c.diff. actually kills people). Here’s the latest evidence that The Gardener is feeling better and back at it. While the official Harvest Manager was away on a business trip, this happened. 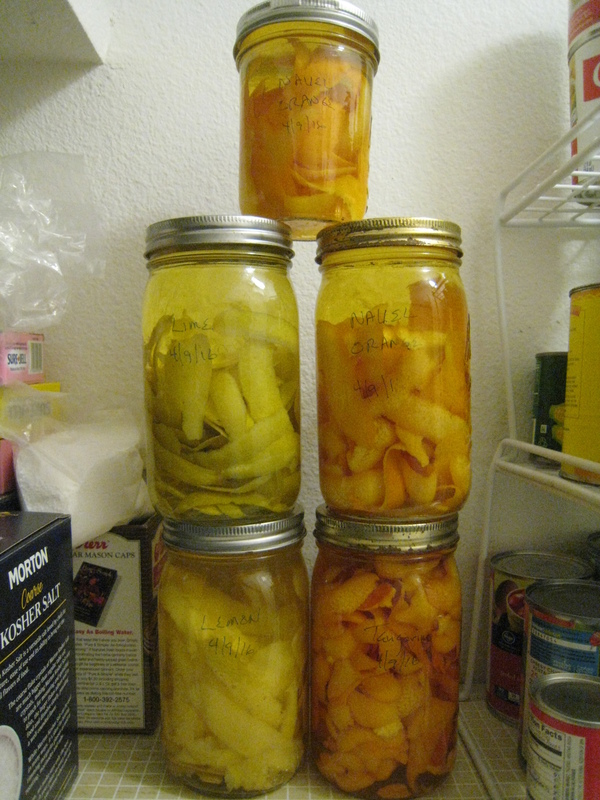 Four varieties of citrus liqueur are now aging in the pantry. Flavors include navel orange, lime, tangerine, and lemon. Astute readers will know that lemon liqueur is commonly referred to as limoncello. I haven’t asked The Gardener his recipe, but I know it includes citrus peel, vodka, and a month on the shelf. The recipe from America’s Test Kitchen seems pretty close to the debriefing I got upon my return from travel. This batch hit the shelves on April 9, so we are still a couple of weeks away from taste testing. 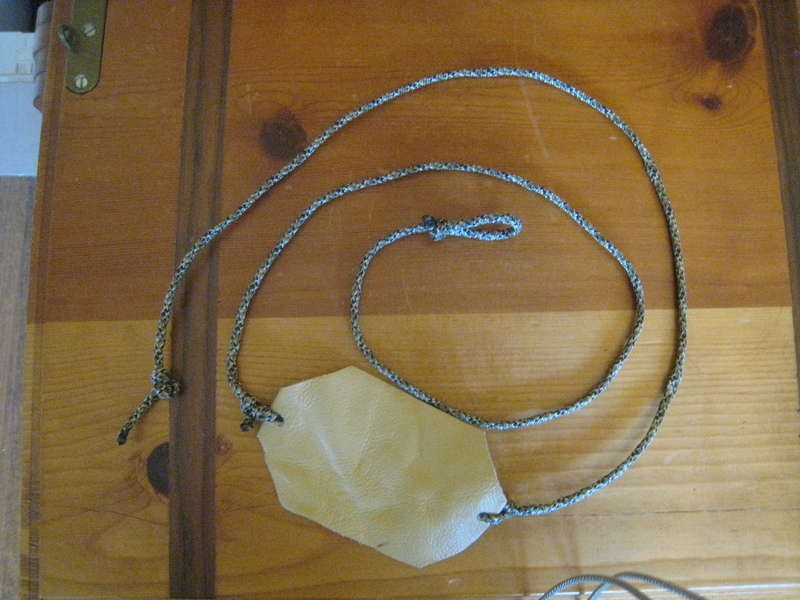 In the meantime, we can amuse ourselves by practicing rodent control using our new slings. That was another project The Gardener took on in the Harvest Manager’s absence. Fruit butters are a simple and perhaps a relatively old fashioned way to preserve fruits. You don’t need much beyond the fruit itself to make a successful end product. Fruit butters do not require pectin, and additives such as sugar, honey, or spices are purely optional. In discussing the plan to make pear butter with The Gardener, I learned that he has a preference for the pure form of fruit butter. No added ingredients if at all possible. Works for me! Pears are quite sweet, so no added sugar is needed. I did add a bit of spice and some lemon juice, but only the bare minimum. The pears pictured here, when peeled and pureed with a cup or so of water and the juice of two lemons, filled a 5 quart slow cooker with another 4 quarts or so in a Dutch oven on the stove. I added 1/2 of a cinnamon stick and one whole clove to each pot. The main trick of the trade here is stirring. Even the puree in the slow cooker required stirring, so this is not the sort of thing one can put on the stove and walk away. Stir, stir, stir. It took about 15 hours over the course of two days to cook nine quarts (36 cups) down to 7 1/2 pints (15 cups). To test for doneness, put a spoonful of butter onto a dish and watch for liquid to seep out around the edges. If nothing seeps out, it’s done. I poured the very hot butter into very hot jars and set them on a rack to cool. Two of the jars didn’t seal, so they went into the refrigerator. The rest are on the shelf with no additional processing. Skipping the boiling water bath is not necessarily recommended, but some older recipes will say it’s OK to skip. By the time I hit the 15 hour mark, I was more than ready to skip that step. If history is any indication, these jars will be empty sooner rather than later, so no worries about shelf life. Fruit butters are awesome on toast, biscuits, and even pancakes. 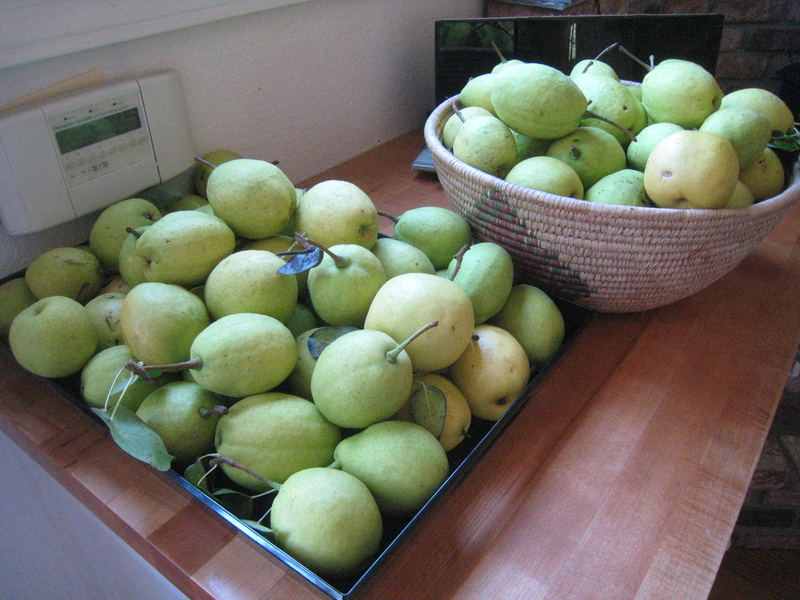 Pears are not really the easiest harvest to manage, and this year The Gardener had a bumper crop. Pears are kind of high maintenance in this Southern California climate. In an ideal world, pears would mature in the fall. They experience the natural chill of the coming winter while still hanging on the tree. To ripen, pears need exposure to cold followed by about a week off the tree. When you can pinch up next to the stem with your thumb and forefinger and the pear gives just a bit, it’s ripe and ready to eat. That whole chill-on-the-tree thing doesn’t work in these parts. The pears become mature in mid-summer and thus the harvest begins during some of the warmest months of the year. In order to experience the chill, they need to go in the refrigerator for a week or so. This is kind of the reverse of the sweet potato conundrum in which case they need to be cured in a warm place before using. I don’t know about your refrigerator, but it’s a stretch to fit two bushels of pears in mine. We managed, but it required The Gardener to stagger the harvest with each batch taking a turn in the fridge. a large dish of poached pears to a garden party, canned 16 quarts, and will soon be stirring up some pear butter. We also eat what we can and give them away when visiting friends and family. 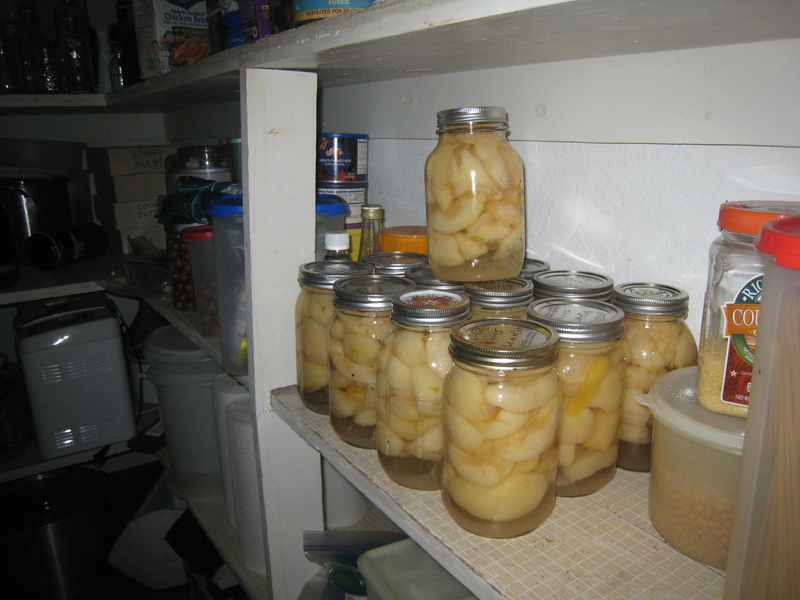 Canning pears is not hard, just time consuming. You have to peel each pear, core and slice, submerge it in lemon water to keep it from turning brown, heat it in syrup, put it in a jar, and then put the jar in a water bath. I can strongly recommend a melon baller for scooping out the core. I’m not going to reproduce the canning recipe here, as it’s very standard and easy to find. Here’s an overview from the United States Department of Agriculture with some specifics about pears. I can strongly recommend the poached pears recipe from Alice Waters’ The Art of Simple Food. Her poaching syrup, which includes lemon zest and cinnamon, makes a lovely canning syrup as well. For the pear butter, still on the schedule for this weekend as the pears ripen on the counter, I’m going to turn to the old reliable Stocking Up, page 271. A word to the wise – If your Gardener doesn’t have a pear tree, try to keep it that way. Managing the harvest will not be a small undertaking in the event there’s a bumper crop. In visiting Alexandria, VA for business, I passed this little garden twice a day as I walked from the hotel to the office and back again. Finally, on the last day I stopped to take a closer look. The garden, spread into three beds, is at the corner of Duke and Henry in Alexandria, Virginia. The first bed, closest to the corner, contains vegetables including squash. The middle bed holds the herbs, and the third bed has a nice selection of colorful flowers. The garden is a bright spot on an otherwise unremarkable spot of dirt. It provides food, flavors, and a splash of color that lightens the mood and touches the senses. Thank you to the anonymous gardener who took the time and trouble to make this offering. The Gardener has recruited supplemental harvest management. 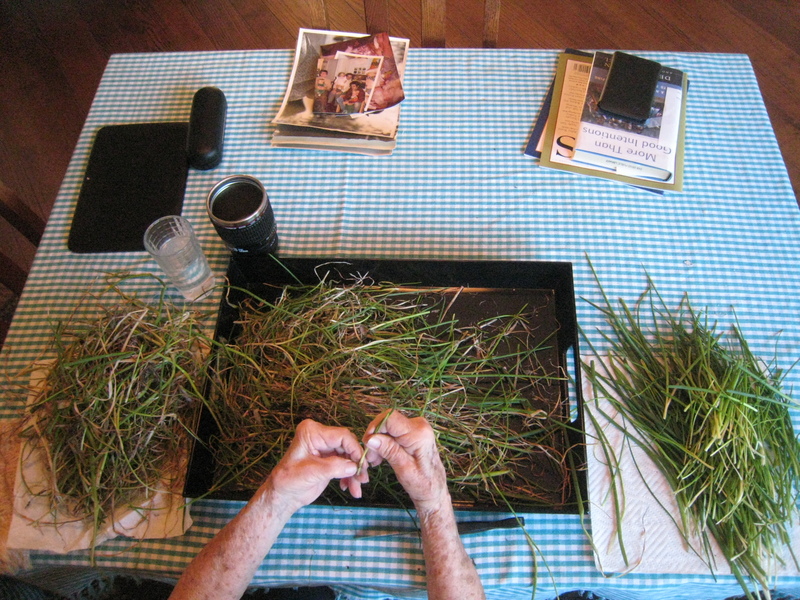 When the Harvest Manager did not jump at the chance to sort the chive harvest, The Gardener engaged his unsuspecting mother to take on the task. Her patience has no rival, and after about two hours, her dedication yielded the edible chives in a pile on the right and those headed to the compost pile on the left. Busy hands sorting the edible chives from the compostable chives. Meanwhile, the Harvest Manager, motivated by the ‘waste not want not’ motto, investigated options for storing chives. It turns out the best best is to eat them while they are fresh. Drying can work, but it diminishes flavor. Freezing can work, but they have to be blanched first and again, the process will diminish flavor. All things considered, The Gardener, The Harvest Manager, and the unsuspecting mother have agreed to make a concerted effort to eat more chives. Thus, baked potatoes graced last night’s menu, and a tossed salad with generous snippings of chives hit the lunch table today. Next up, a lovely vegetable casserole with chives. The WordPress.com stats helper monkeys prepared a 2014 annual report for Save the Harvest. Is your favorite blog post in the top three? Sweet Potatoes or Yams – What’s the deal? For the most part, humans don’t eat yams. We eat sweet potatoes that we call yams. 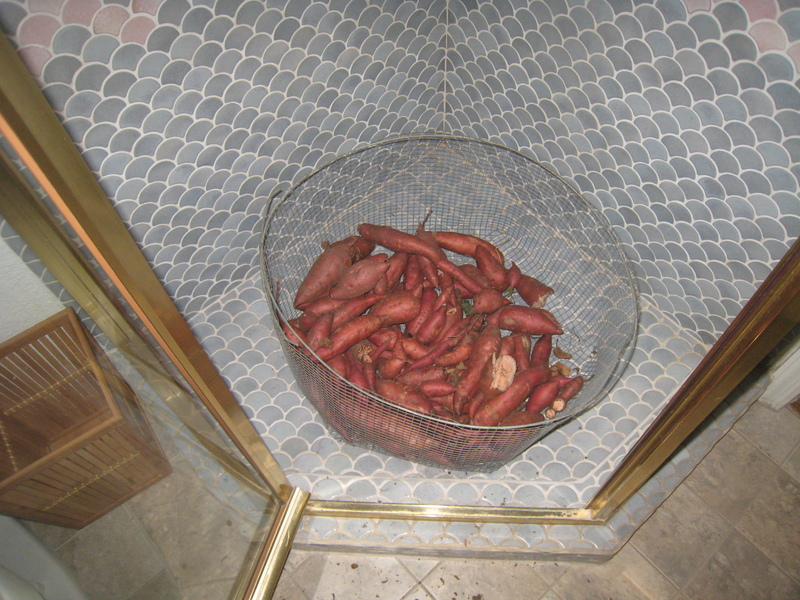 True yams are starchy roots related to lilies. We do not find them particularly yummy. I’ve read several accounts of how we came call the sweet potato a yam, and none of them sounded definitive or authoritative. Thus, I will not take up space recounting them here. The Gardener brought in many pounds of sweet potatoes about a month ago. They have since been cured and stashed in the pantry (the much touted cool, dry place) for winter storage. Faithful readers of Save the Harvest will remember the particulars of sweet potato curing – a week or so in a warm humid place – to change the starches into sugars and enhancing flavors. This year the warm and humid place was the small, downstairs bathroom. A vaporizer and an electric space heater provided the necessary climate control. The Harvest Manager’s role in this process was to sort the cured sweet potatoes, sending some to the stove, some to the pantry, and a few to the compost pile. All things considered, it was a successful harvest.